The day has finally come and Motorola's highly anticipated Android Wear smartwatch is here and it's available to purchase for $250. But now that many people have gotten their wrists wrapped in a elegantly designed smart timepiece that is the Moto 360, our biggest fear was realized when it was revealed that Motorola's premium smartwatch only had one day battery life. No matter how great and useful the Moto 360 is with its Android notifications and Google Now integration, charging your watch on a daily basis isn't fun. Nor is becoming tethered to a wall charger. And with no micro-USB port to charge the Moto 360 over regular means of charging like using a portable battery charger or even using your laptop, you're $250 investment may not live on your wrist for very long. Fortunately there's still some hope. While the Moto 360 can be charged using its wireless charging dock, it also supports the universally accepted Qi wireless charging standard. 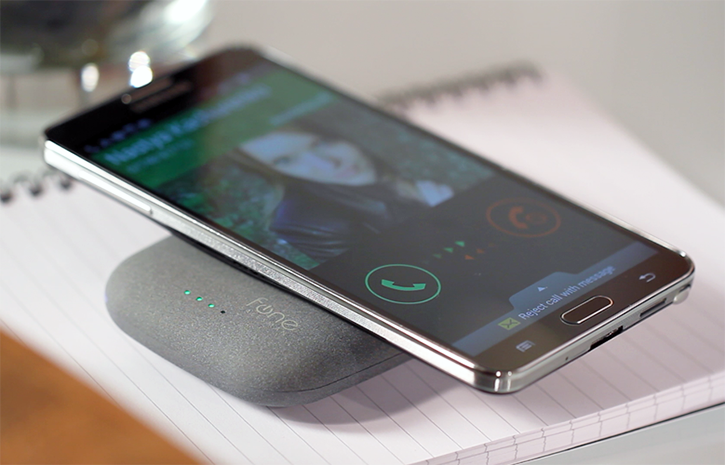 And that means it can also be recharged on the go using a special kind of a battery. Notably a battery like the QiStone+. It's a portable backup battery with a respectable 4,000mAh capacity that features Qi wireless charging support in addition to its regular USB charging port. 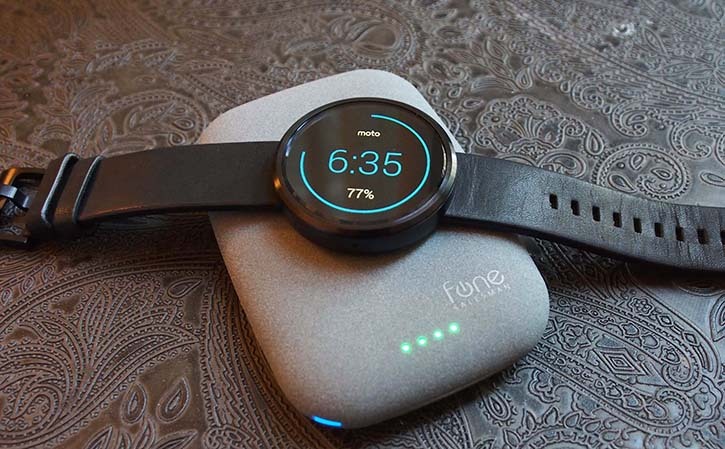 Meaning you can set your Moto 360 on top of its smooth pebble-like surface to wirelessly charge while out on a trip without having to carry around the Moto 360's charging dock and wall adapter cable. How awesome is that? And why hasn't Motorola thought about doing this in the first place? The palm-sized QiStone+ wireless charging backup battery will set you back $80, and will charge pretty much any regular USB-powered device or any device that supports Qi wireless charging. The QiStone+ will be able to charge the Moto 360 multiple times, considerably extending its miserable one day battery life. It can also be recharged using a wireless charging base and also features a four-LED battery status meter to keep you informed of its battery life capacity. It's worth noting that there are also cheaper alternatives like the Qi-Infinity, which is a an exact replica of the QiStone+.